On 10 April 06 at approximately 0815 aircraft 03-041 had a Red Ball for a canopy unlock indication. Attempts to clear the problems by cycling the canopy failed. The final cycling of the canopy resulted in it being in the down and locked position. 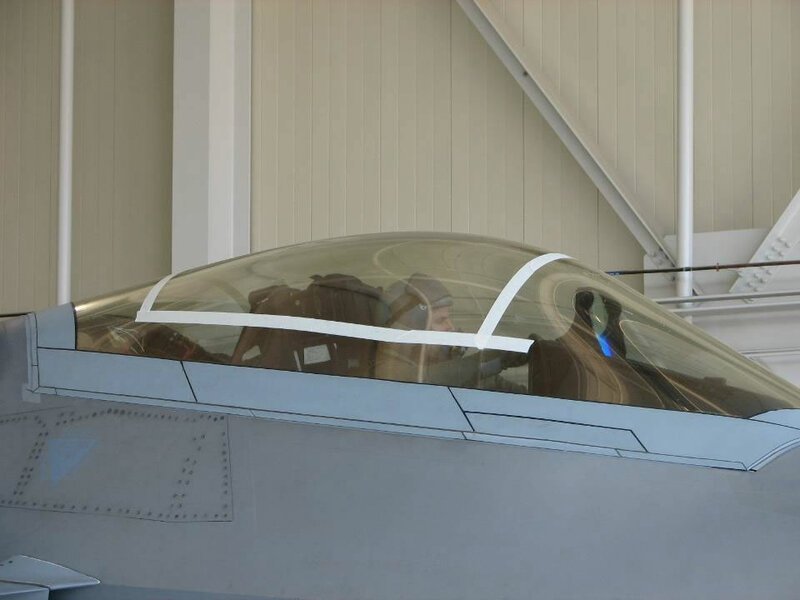 The canopy would not cycle up form this position trapping the pilot in the cockpit. The aircraft subsequently ground aborted. Attempts to manually open the canopy were unsuccessful.27th AMU consulted Lockheed Martin and the F-22A System Program Office to determine alternate methods to open the canopy and extract the pilot.After all maintenance options were exhausted, the canopy was cut by fire department personnel and the pilot was extracted at approximately 1315.Trouble-shooting of the aircraft is in work. Canopy replacement cost is $182,205.